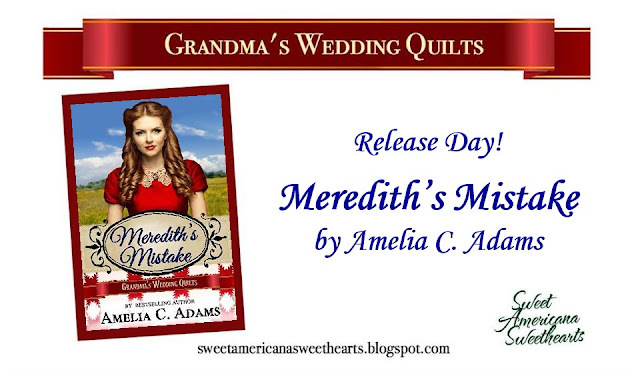 My book, Meredith's Mistake, is now available! It will remain at the launch price of $0.99 through today. Grab it on Amazon before the price goes up: CLICK HERE. Gracious. Would there be a second day with Mr. Bingham? She was certainly presuming a lot, wasn’t she? But he had looked at her with a great deal of interest, and if he enjoyed the party, he might come back for another visit . . .
Meredith’s cheeks were now as red as her dress. What was she doing, thinking like that? He was a stranger—an absolute stranger. She shouldn’t be speculating about him—it wasn’t fair to him or to her. For all she knew, he was already engaged and had only come to her house earlier that day because . . . well, because Cissie made him come. But that begged another question—why would Cissie make him come over if he was engaged? No, she was certain that Cissie meant to play matchmaker, and in a case like that, perhaps Meredith had better think things through so she’d be prepared. Speculating sometimes had its uses. She smoothed her curls and then headed downstairs. She wasn’t only excited, but a little bit nervous. This was the first adult party she’d ever attended, let alone held, and she hoped she wouldn’t make an utter fool of herself before the evening was over. 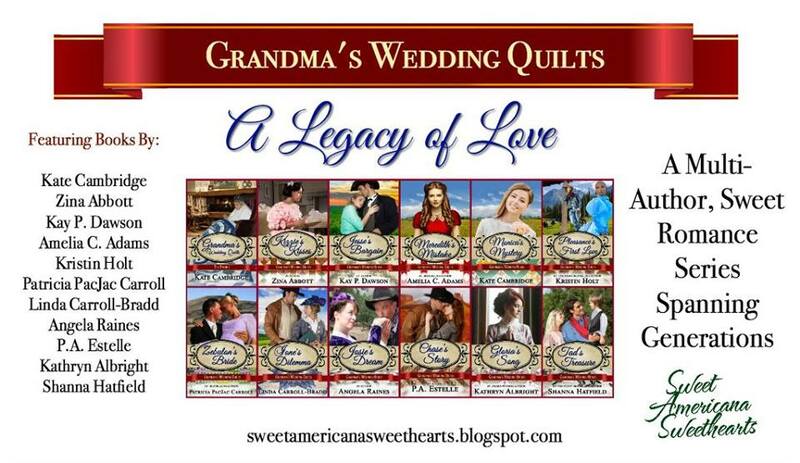 The Atwells weren’t fancy people by any means, although her mother tried to keep them all on their best behavior, and she was keeping her fingers crossed that their humble affair would be nice enough for some of the more established families in town. Cissie was the first to arrive, along with Jonathan and Mr. Bingham. With them was Edward Turrell, who was a particular friend of Cissie’s, and hung on her every word as though she were a philosopher. Meredith greeted them all politely, then focused her attention on Jonathan. He gave her a nod, and they moved into the parlor. Before long, it seemed that every inch of their home was filled with well-wishers. 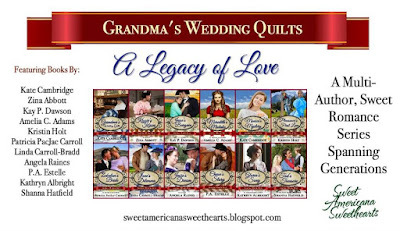 Some were friends of her parents’, some had come specifically because they’d heard that Jesse was now married and they wanted a chance to visit with the bride, and many were there for the dancing. Meredith didn’t mind if she wasn’t their sole purpose in coming out—it was a lovely party regardless, and she was enjoying herself. The door opened again, and in stepped Luke. He wore his Sunday suit and his hair was slicked back, and he looked both dapper and uncomfortable at the same time. Meredith crossed the floor to greet him, tucking her arm through his and leading him toward the refreshment table. “I know you’ll feel less grumpy about being here once you’ve got some food in you,” she said. 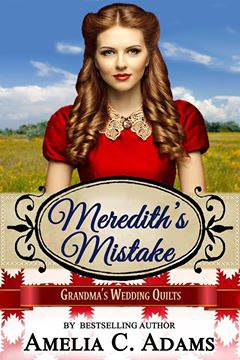 CLICK HERE to purchase Meredith's Mistake. To learn more about Amelia C. Adams, visit her Sweet Americana Sweethearts author page by clicking on the tab above with her name, or CLICK HERE to reach her Amazon Author Page. Beautiful excerpt, Amelia! I enjoy the idea of a barely eighteen-year-old trying to decide which man would be right for her...and earning a second chance at the right one. Looking forward to reading! Pre-ordered (so it's on my kindle this morning)! Love the title and cover you choose, Amelia. It sounds like a fun read!